Do you struggle with your post-workout recovery? Are you experiencing symptoms of indigestion? Do you have problems with maintaining the tone of your nails? Cymbopogon flexuosus – this is a genus of Australian, African, and Asian descent but it has also been encountered at tropical islands. It’s part of the grass family. Certain species are known to be cultivated as both medicinal as well as culinary herbs mainly due to their scent. The latter resembles the scent of a lemon. The grass is known by a lot of different names, including lemongrass, silky heads, barbed wire grass and others of the kind. Uplifting Lemongrass essential oil is often called on to boost confidence, hope and positive mental power. An interesting fact about lemongrass oil is that it has powerful benefits regardless of the way you use it. With this in mind, you could use it as part of your aromatherapy, topically, or internally to achieve separate results. Make sure to target certain desired consequences and used the appropriate application method. If you want to create a bouquet of health advantages, you can combine the application methods altogether. Aromatic Use: While used as part of your aromatherapy session, it will induce a feeling of positivity and motivation. However, you should also know that you can use its scent to repel insects. Topical Use: Dilute the oil and rub it on your skin before you go outside – this may protect you from free radicals. What is more, you can apply topically after a hard workout to stimulate muscle relaxation and quicker recovery. Internal Use: You can use it as a capsule or mix it in a liquid – this may stimulate healthy digestion. As you can see, you can draw a lot of benefits regardless of the way you decide to use it. However, it’s important to know how to take advantage of the different application methods. If you want to use the oil as part of your aromatherapy, you need to diffuse no more than 4 drops in a regular diffuser. On the other hand, if you want to apply it topically, it’s advisable to dilute it using carrier oil in order to prevent skin irritations. Internal consumption is possible if you take the oil encapsulated or if you mix one drop per every 4 fl. oz. of liquid. You can combine it with carrier oil after a very hard work out and this may induce quicker muscle relaxation and recovery. This can help you optimize your overall training routine and uplift your tonus. It may serve as a great DIY cleanser. Hence, you can combine it with your moisturizer or use it separately. However, in both instances, the oil may purify your skin and improve its overall condition. You can also combine the oil with Melaleuca in order to create a DIY nail-polish. This can attribute for healthy nails and toenails. Lemongrass is famous for its particularly refreshing scent. This is why diffusing it in your car is a particularly good idea. You will be able to create a very enjoyable local environment. What is more, the scent is also known to repel and get rid of insects. You can combine it with peppermint and capsulate it. This may provide additional gastrointestinal support and overly healthy digestion. Lemongrass is a herb which is used for a range of different things. Right off the bat, it’s a culinary herb in the continent of Asia which is used to improve the nutritional value as well as the flavor of an array of native dishes. It is also known to be a medicinal herb used for alternative healing techniques in India. The herb has a subtle citrus flavor and as such it could be powdered or dried. It could also be used fresh. With all this in mind, it’s important to note that in order to create the beneficial lemongrass essential oil; the leaves of the herb are treated with the process of steam distillation. As a result, the precious extract is drawn and the oil is created. It has quite a few prominent advantages, separate from the ones which are derived from the plant in its original form. It’s also important to note that the FDA hasn’t yet approved its healing capacities, even though the benefits are reported by countless people. Lemongrass oil is a commonly used extract and it is quite popular for the variety of benefits that it can bring on the table. Prolonged usage of the substance is capable of delivering quite a lot of advantages. In fact, it is also one of the extracts which blend in naturally with other essential oils. For instance, a combination with any kind of milder carrier oil is going to induce a feeling of relaxation after a long and exhausting workout – this is something very important. At the same time, when you combine it with peppermint oil and capsulate it, you may experience significant gastrointestinal benefits as well as improvements in your overall digestive health. It’s also considered to be a natural cleanser so it may help you purify your skin and improve your appearance. In order to achieve this effect you can mix the oil with your moisturizer or use it as an alternative to it. Keep in mind that those are benefits which are reported by numerous people and some of them are backed by studies. However, the FDA hasn’t yet approved its healing properties officially. Lemongrass essential oil is considered to be one of the milder extracts. However, for your own peace of mind, make sure to dilute it with carrier oil before you apply it on your skin. This goes especially for sensitive skin areas. You should keep it away from your inner ears and from your eyes as well as from smaller children. One of the important considerations that you’d have to account for is in case you are diagnosed with certain condition or you are currently pregnant. If that’s the case, it is highly advisable that you talk to your doctor before you use the oil in any form. As we’ve mentioned above, the oil could be the perfect DIY cleanser as it may help you purify your skin. As such, it could substitute different and chemically-infused over-the-counter cosmetic products. Furthermore, you can use it as part of your dietary routine, especially if you want to cleanse your body. Combining peppermint and lemongrass oil may have strong digestive benefits and as such it needs to be considered. Of course, you can also create a proper local environment in your vehicle by diffusing a drop or two instead of having to purchase those artificial scents. As we mentioned above, it is best known to be effective yet mild essential oil. As such, it works perfectly well in combination with other extracts. Some of the oils that you can blend it with include but are not limited to cypress, fennel, palmarosa, marjoram, cedarwood, black pepper, bergamot, basil, lavender, lemon, orange, grapefruit, ginger, geranium and others of this kind. 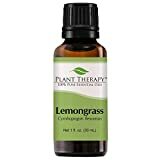 Lemongrass is a popular and widely used essential oil. It’s one which can bring countless benefits through all of its versatile uses. What is more, you can further enhance its prominent capabilities by combining it with other extracts. As you can see, it’s one which blends well with an array of different oils. You can target different conditions with the separate application methods, making the entire solution even more versatile. Lemongrass has been around for centuries. Its properties are reported by thousands and used by a lot of people as alternatives to traditional medicine, especially in India. However, the FDA is yet to approve these applications. This is why it’s not advisable for you to use it as an alternative or substitute to any kind of clinically prescribed medication.